I believe that the debate about inequality, particularly here in America, is guided almost entirely by our collective democratic-egalitarian mentality. This mentality is fundamental to our sense of identity. It provides our feeling of rootedness and existential security. If we thought we’d lost either our “equality” or our “democracy,” most of us wouldn’t know who we were or what to do with ourselves. This irresistible psychological problem, especially when mixed with our current economic circumstances, almost automatically produces the passionate, confused, contradictory, and often bizarre reactions that have now completely destroyed the conversation. We are driven, consciously or unconsciously, to reconcile all of our institutions with this democratic-egalitarian mentality. If we cannot do this, then we struggle to accept the institution as valid; if the institution does not reconcile with, or proves actively hostile to our paradigm, we experience great distress and inner turmoil. Whatever we do as a society, it must conform to the democratic-egalitarian paradigm, or else cognitive dissonance invades. In politics the paradigm looks something like this: we view each vote as equal, and the result of an election is assumed to be an expression of an abstract “general will” to which we all contributed equally. So long as you voted, you have exercised your equality, and democracy remains safe for another night. From behind our “democracy-colored glasses,” we judge the world and attempt to grapple with our problems, no matter what the area of investigation. Education, economy, marriage, etc., all must somehow conform to the paradigm. If a situation arises in which our stock democratic concepts do not fit or do not properly apply, we become confused and inept. We lose our ability to deal with our subject, having lost the only language with which we were familiar. This problem is exacerbated by the fact that the paradigm is experienced mostly in the abstract. The reality of our circumstances may shift underneath our feet, but the paradigm and its assumptions can live on, sometimes beyond all reason and usefulness. This is what happens when we turn to debates about the economy, especially in regard to inequality. For a very long time we’ve been able to comfortably reconcile our capitalism with our mentality. We have been able to conceive of our economy as a “democratic capitalism.” But in the face of growing inequality, the reconciliation has grown difficult, and for some, impossible. But we keep trying. Here again we put on our democratic-egalitarian glasses and proceed to project our political framework onto an economic landscape which may or may not conform to those abstractions. The “citizen” becomes the “consumer,” “voting power” becomes “purchasing power,” and the cumulative influence of all these “consumer votes” becomes the “general will” which presumably directs the whole affair. Across the spectrum we go, interpreting the economic in terms of the political. So long as everyone is allowed to “spend their vote,” then equality is maintained and our democratic capitalism is safe. Now the question is, how well does this abstract paradigm conform to our economic reality? Remember that the problem with judging the world in the abstract is that the abstractions may persist even when they are no longer valid. And that is precisely the case with our current economic situation. The landscape has shifted in such a way that it is absurd to interpret it through the democratic-egalitarian paradigm—it simply does not translate any longer. Nonetheless, because the language of democracy is our only language, and because it frightens us to imagine a situation in which it is invalid, we insist on continuing to apply it, to our own detriment and frustration. One example should suffice: In our effort to translate the economic in terms of the political, we turned the “average voter” into the “average consumer.” This “average consumer” embodies the economic adaptation of the “general will,” and it is a necessary feature if the economy is going to function democratically. So long as this “average consumer” exists, we can conceive of an economy that is working for all of us, and in which we are all having our democratic say. The problem is, however, that the “average consumer” is dead. You see, he could only exist within conditions of relative economic equality, which we have not had for a very long time. And without him, the rest of the framework collapses. “The World is dividing into two blocs – the Plutonomy and the rest. The U.S., UK, and Canada are the key Plutonomies – economies powered by the wealthy…. “…In plutonomies the rich absorb a disproportionate chunk of the economy and have a massive impact on reported aggregate numbers like savings rates, current account deficits, consumption levels, etc….. There is no average consumer; there are only a few very powerful consumers who direct the market and whose choices outweigh the vast majority of other economic participants. In our preferred terminology, this means that there is no average voter, and no semblance of an economic “general will” to drive and direct the market in the interests of its various participants. There is only a very exclusive “will” whose choices will inevitably be very different in kind from those made by the rest of society. The market, in this landscape, is not driven by the people, but by a very small and surprisingly unified few. The vast majority has little impact on economic development and direction, except perhaps in a role of passive participation. There is still an “average” citizen, of course, but he does not have any say in the market. His economic “vote” doesn’t count. Neither do the votes of most of his neighbors. Their interests have no voice. The market has been, in the words of the Citibank analyst, “absorbed” by the rich, and is in their hands. Now at this point we could explore the ways in which economic inequality bleeds over into politics and disturbs political democracy in the same way that it destroys economic democracy, but that is a subject for another time. For now, we just need to acknowledge that, like it or not, inequality forces us to reframe all of our economic assumptions. We can no longer use the language of our imaginary “democratic economy.” It doesn’t fit. It sounds like gibberish. It is gibberish. 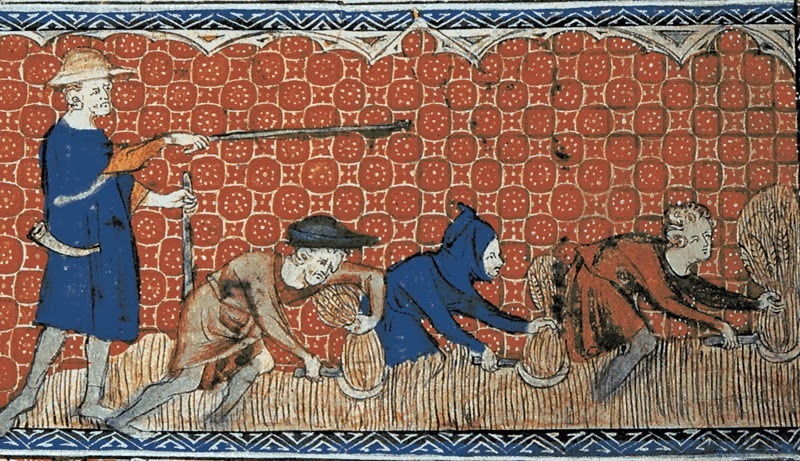 Such an economy may have existed at one point, before capitalism, and it may exist again, after capitalism. We may someday see a functioning free market system in which the average participant wields an average amount of economic power. But that doesn’t exist now. Those who obstinately continue to apply democratic-egalitarian categories to our very undemocratic, anti-egalitarian, even Darwinian, capitalist regime may do so in an attempt to maintain their sense of identity and potency—but it won’t help us fix anything, because it isn’t our reality.